The Denecke TS-C is a compact full featured smart slate,capable of reading, generating and displaying SMPTE/EBU LTC time code. Its’ new form factor makes the TS-C ideal for documentary work or anywhere a big slate is too cumbersome. The TS-C jams to all standard frame rates,including 23.976 for HD. User Bits are set automatically when jammed to an external time code. In manual set mode, frame rates can be cross jammed. Auto set mode automatically jams to the same frame rate as the incoming time code. In time code reader mode, both ascending and descending time code are read. 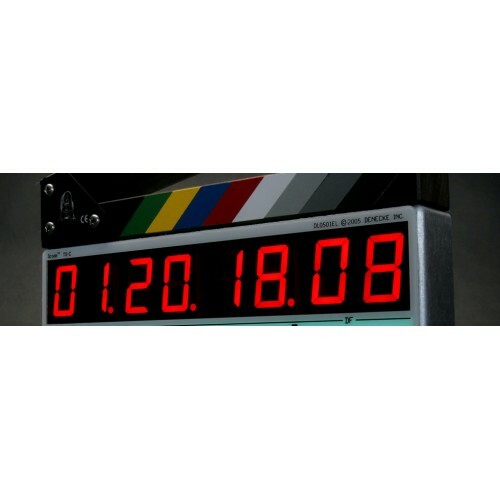 The TS-C reads and displays off speed time code used in special situations such as music video playback. The time code reader can also be configured as a “+1 frame reader” to display the time code in real time (not a frame late). The TS-C is the first Denecke product to support Aaton serial protocol. A high precision TCXO is combined with a 16 bit microprocessor,ensuring both extremely low drift and high accuracy. The standard EL backlit face plate is very useful in low light situations. The new Denecke TS-C compact slate is affordably priced. 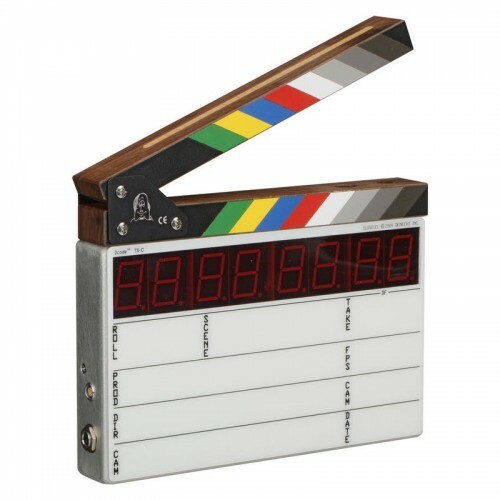 Your choice of black and white or color clapper sticks.